How much do translation services cost in Australia? 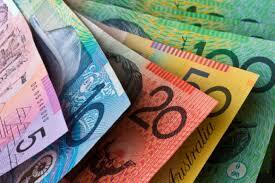 Are you looking for information about the price of translation services in Australia? This is a really interesting topic and this article will go into some depth about the different factors that determine the price of translation services in Australia. Our translation service is a high quality service and as such we take great price in our work and our ability to bring this to the market at an affordable price. Other documents such as legal documents, marketing material, brochures, engineering manuals, emails and other documents (usually associated with business enquiries) are considered “non-standard documents” and are subject to a per word pricing. Quality – it may seem cliche, but you DO get what you pay for. If you receive a quote that seems too good to be true, it probably is. Language – certain languages have a different level of supply VS demand. Obviously where supply outweighs demand (Spanish & Chinese), the rates tend to be lower. Where demand far outweighs supply (eg. Swedish & Norwegian), rates tend to be higher. Accreditation – in Australia NAATI accredited translators are under high demand VS translators who do not hold NAATI accreditation. Rates for NAATI accredited translators tend to be higher than those who are not accredited. OPAL Translation ONLY works with NAATI accredited/recognised translators. Speed – if you need a translation completely faster than usual processing time, we need to put your project to the front of the queue – this attracts a higher rate. Technicality – Simple documents are easier to translate and do not require as much time to complete. More technical translations require a much higher amount of time to research terminology choices and find references, as well as additional time to review work – this leads to a higher rate. Independent Checking – for business documents, we highly recommend having a translation reviewed by a 2nd NAATI accredited translator, for extra quality assurance. How much do NAATI certified translation services cost? Below, we have provided some guidelines for the approximate cost of NAATI certified translations that we provide here at OPAL Translation. These pricing guidelines are indicative only – all documents must be independently quoted by our expert team – simply complete the Free Quote form on our website. PLEASE NOTE – most other translation agencies in Australia charge more than this (usually our clients tell us that we are about 36% cheaper than our competitors).